The Tennessee Arts Education Data Project is the state’s first-ever online searchable database on PK-12 student access to and participation in arts education. The purpose of the project is to empower school districts, educators, policymakers and funders with arts education data for decision-making in support of a well-rounded education. The project takes existing data reported to the Tennessee Department of Education on arts education course offerings and student enrollment numbers and displays the information in user-friendly, color-coded dashboards. Users can search the dashboards by county, locale code, school, arts discipline and more to gain a clearer understanding of the status of arts education in schools in all 95 counties across Tennessee. The national project was developed by Quadrant Research, a nationally-recognized leader in arts and education research, and the State Education Agency Directors of Arts Education, an organization supporting the professional effectiveness of individual members and providing a collective voice for leadership on issues affecting arts education. The Arts Education Data Project dates back to 2004 which saw the first release of a statewide report using state department of education data. With the public launch of the Tennessee Arts Education Data Project, Tennessee joins nine other states across the U.S. implementing a state-specific project. A range of other states is set to launch their first round of data dashboards this year. The Tennessee Arts Commission partnered with the Tennessee Department of Education, Country Music Association Foundation and Quadrant Research to offer this tool for a wide network of stakeholders. The dashboards provide both statewide analysis and tailored reports at the county, district and school levels. Tennessee’s Data Project includes information on arts education access and participation for the 2016-2017 school year as well as year-over-year comparable data from 2015-2016. Reports are available for download and print at TNArtsEducationDataProject.org. The website also includes key highlights for the 2016-2017 school year such as percentages of students enrolled in arts education by grade level (e.g. 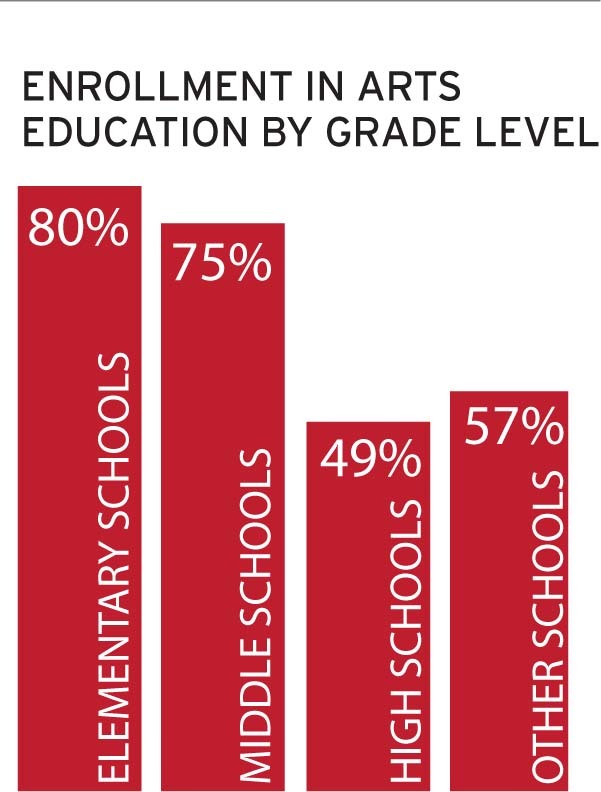 80% in elementary schools vs. 49% in high schools) and locale code (e.g. 77% in city schools vs. 61% in rural schools). Partnering organizations are working to assist stakeholders in using the data by developing a how-to video, communications toolkit and arts education strategic planning guidance. More information will be available on the Data Project website in the coming months. For questions about Tennessee data, contact Todd Shipley at Arts.Education@tn.gov.